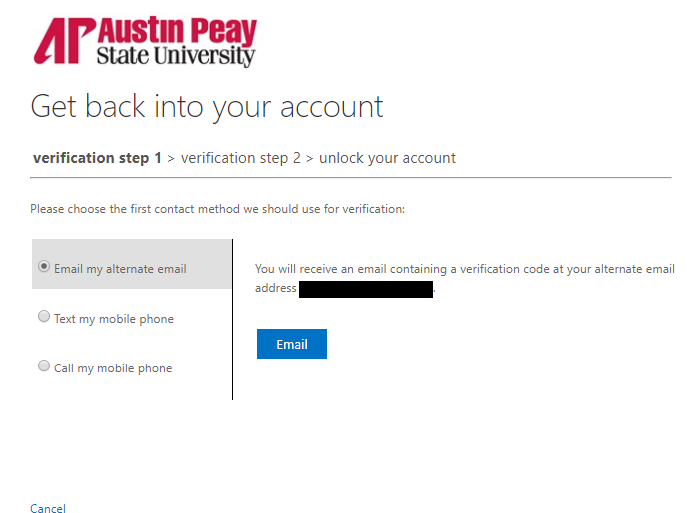 Choose I know my password, but still can’t sign in and click Next. Choose from the available options. 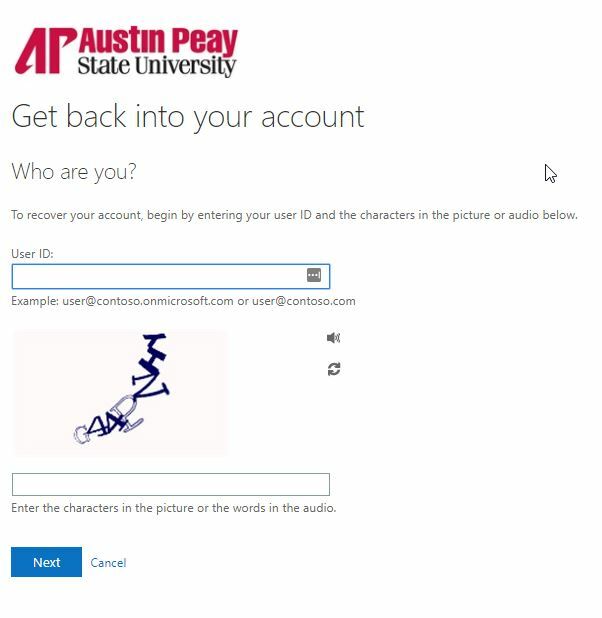 You will need to verify your identity with 2 of the options you had previously set up. Once you have completed the first step, choose again from the remaining available options. 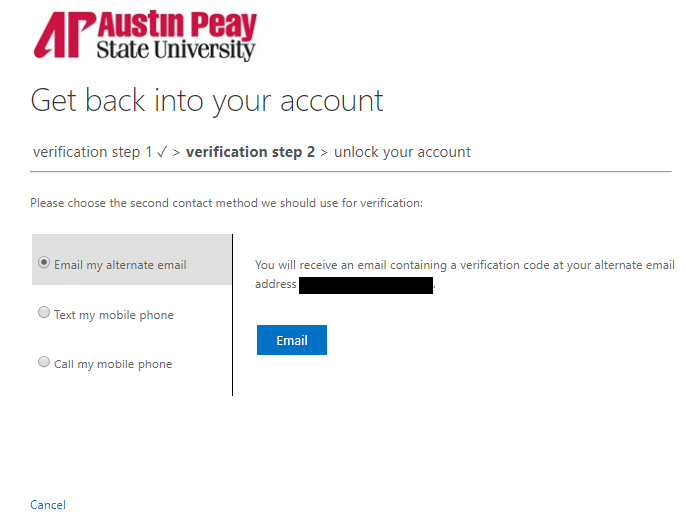 Once you have completed both verification steps, you will see a confirmation that your account has been unlocked.